Determining the volume and value of timber is a vital part of the services that we provide. We use professional timber cruising techniques along with the latest technology to provide accurate estimates of your timber volumes. 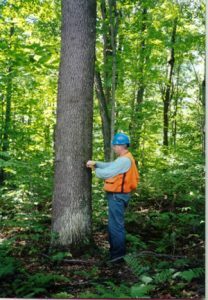 Timber inventories are useful for management decisions, timber sales, estate planning, taxation, evaluating property damages, land sales or acquisition, and bank loans.